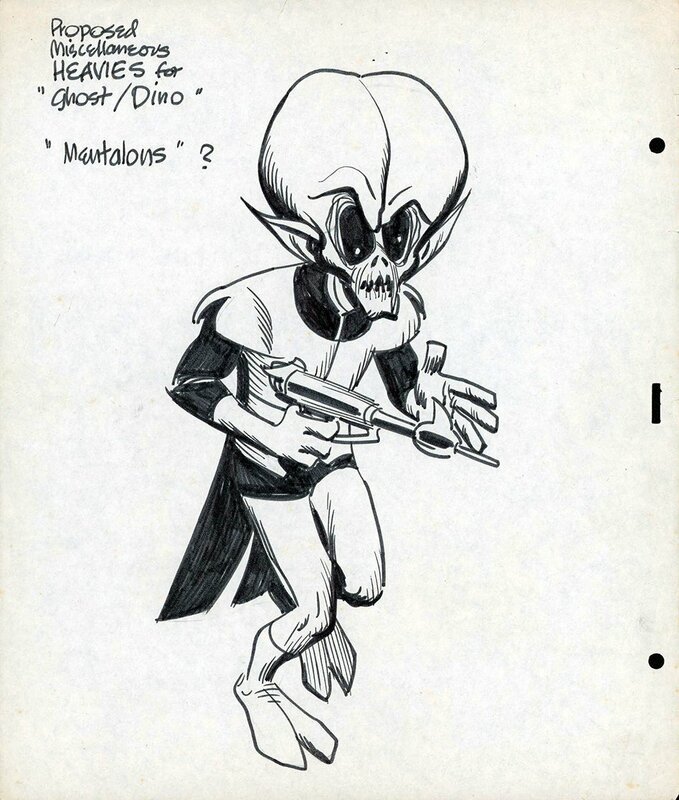 Great Hanna-Barbera character proposal for either Space Ghost or Dino Boy. Pen and ink on animation paper, 10 1/2 x 12 1/2 inches. Excellent condition.